If you're die-hard Running Man fans, you'll know Running Man members and Gary are coming to Malaysia in April and May respectively!! 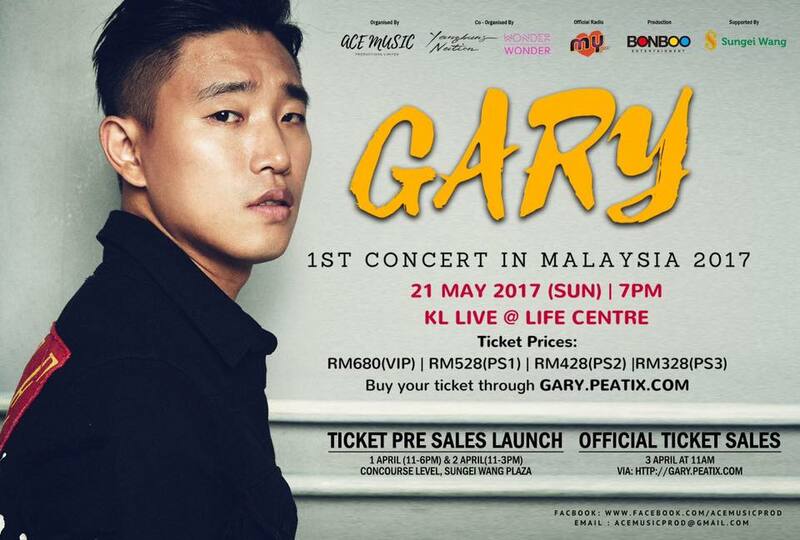 This time, Gary will not come in a group but as a solo singer for his 1st concert in Malaysia on 21st May 2017 at KL Live. For fans who hope to grab a great seat before it sold out, do note that the pre-sales launch is on 1st & 2nd April at Sungei Wang Plaza, followed by the official ticket sales which begin on 3 April, 11am onwards. 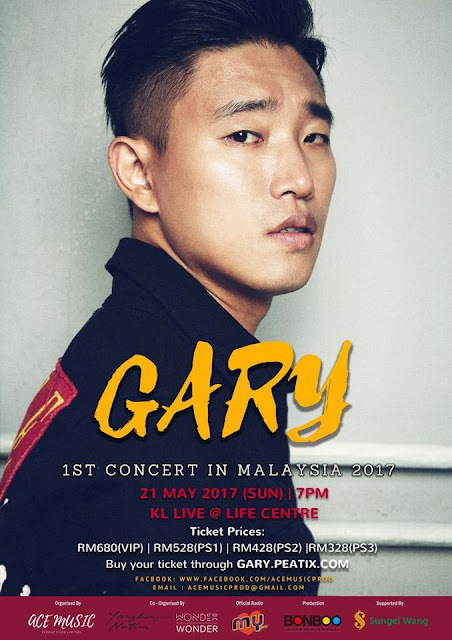 *Each RM680 VIP ticket comes with a chance to either win a Group Photo Session, Hi-Touch Session or Autographed Poster (either 1 of it), all VIP ticket holders will be notified on which category you have won when it's nearer to the concert date. 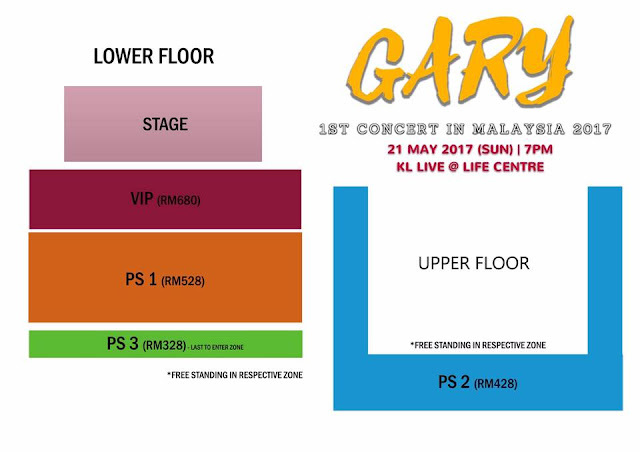 *Each RM528 PS 1 ticket comes with a chance to win Hi-Touch Session (200) & Autographed Poster(50), all PS1 ticket holders will be notified on which category you have won when it's nearer to the concert date. Impressive. It’s a nice blog. Keep update information.